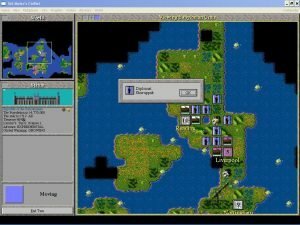 CivNet is a version of Civilization that supports both singleplayer as well as online and LAN-based multiplayer. 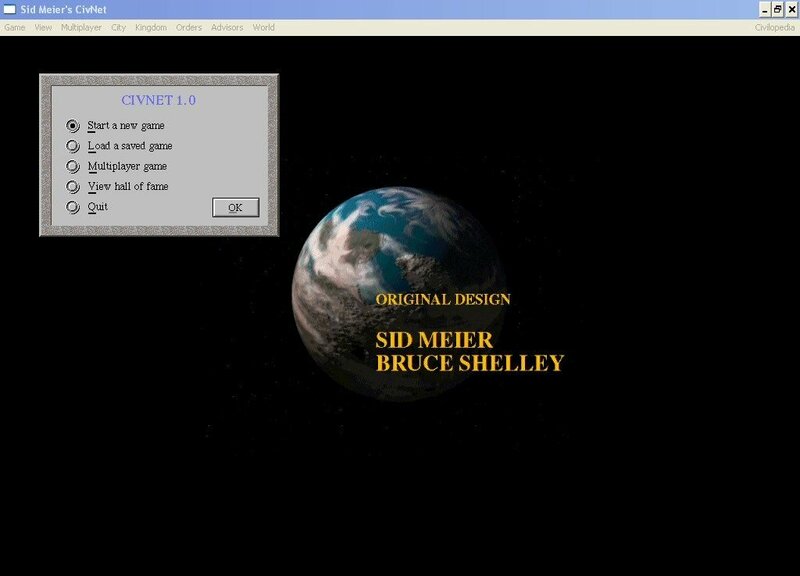 It was originally playable via modem, serial cable, or network, with a maximum of seven human players in a game. 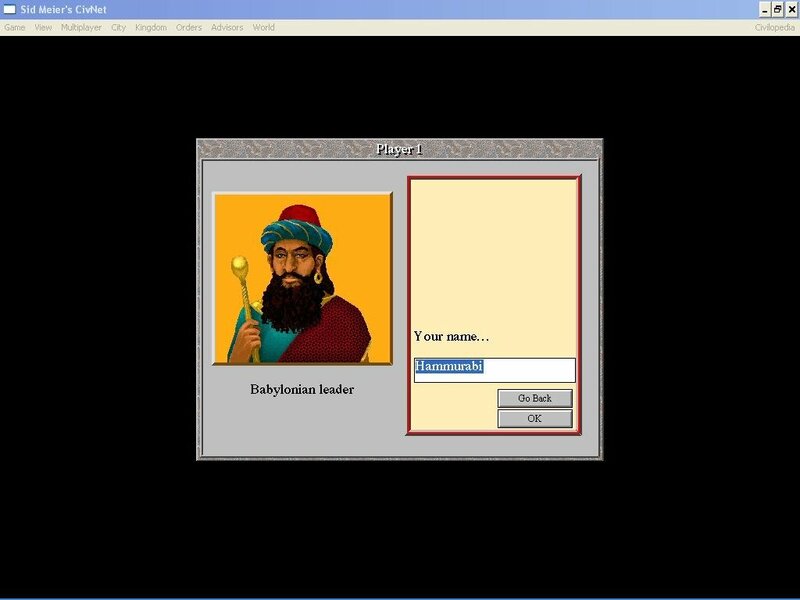 The computer still take the role of the barbarians. 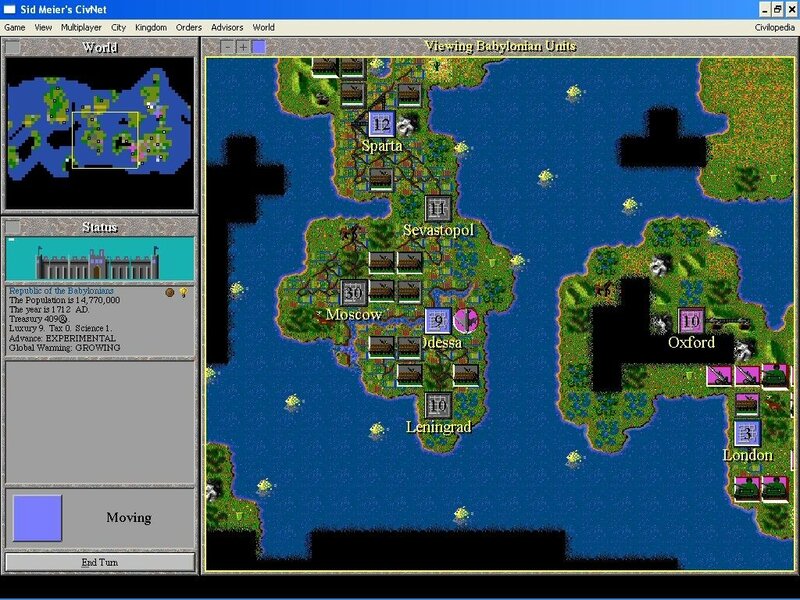 The graphics and interface are given a bit of an overhaul to take advantage of the high-res Windows environment. 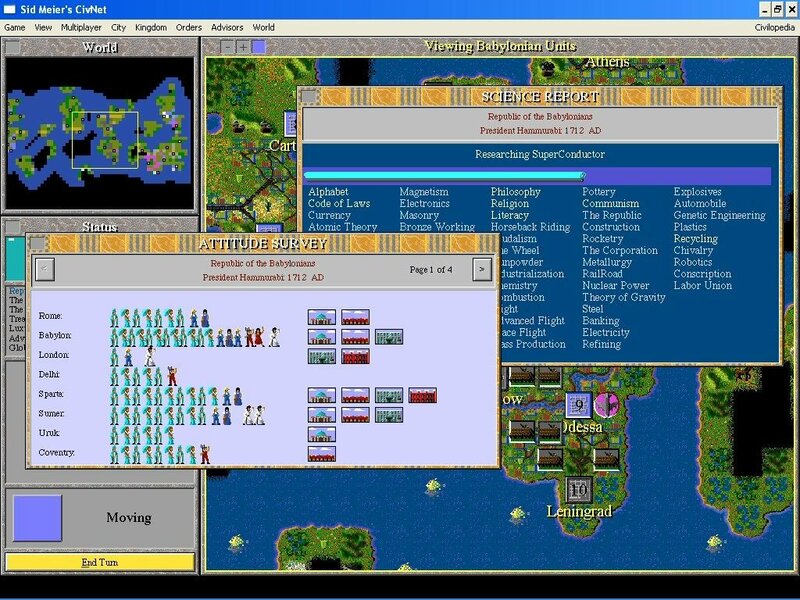 Probably the most daunting aspect of re-creating Civilization as a multi-player game is the issue of turns. You can either play in traditional turn-based mode, but a new option allwos all players may take their turns at the same time. 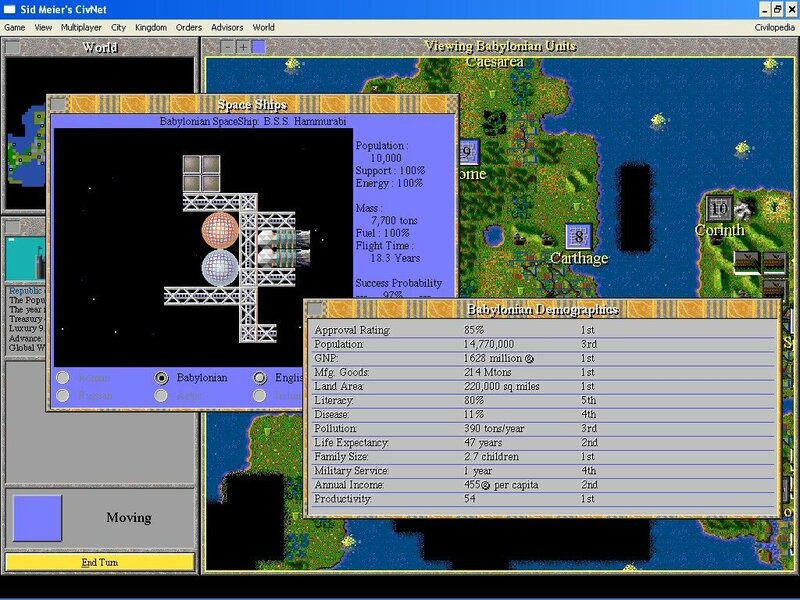 In this mode of play, each person moves their units simultaneously; once all units have expended their movement allotment (or players click on the “end turn” button) the computer does a quick maintenance round. In the end it’s not exactly real-time, but a clever simulation of turn-based mode. There will also be a few additions and enhancements to make the multi-player aspect of the game a little easier to manage. For purely aesthetic reasons, you are allowed to customize the look of your King/Queen. Timed games with accelerated play will be available for players who want to get a short lunch hour game going. 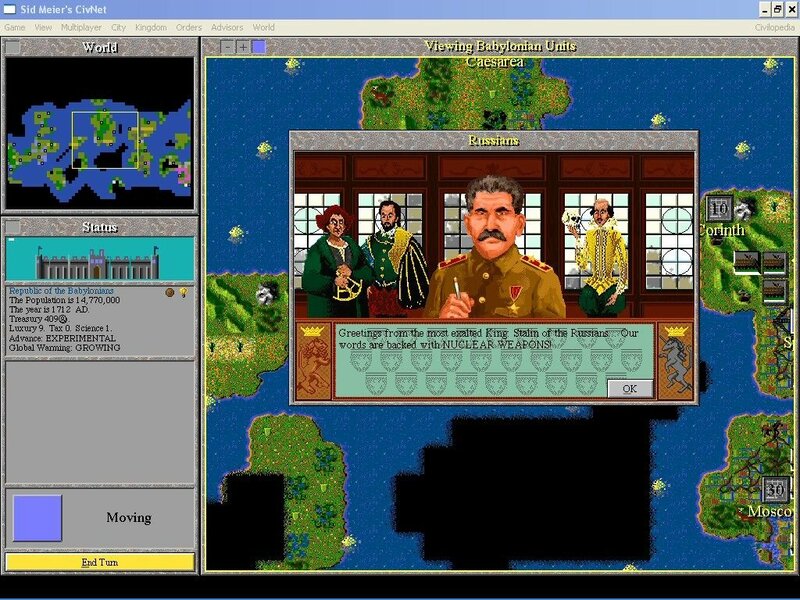 Human players will have enhanced diplomatic choices (such as the ability to trade technologies at will), making CivNet a game of pacts, alliances, and daggers in the back. 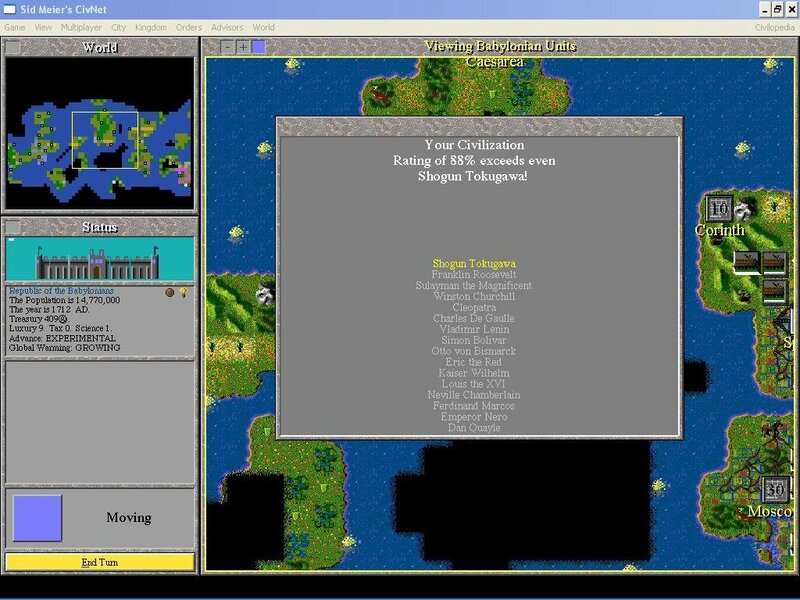 The player will be able to have up to eight map windows open at once, making it easier to manage your own empire while keeping tabs on your competition, and the map windows will have zoom features. For games that start out with less than the full compliment of seven human players, an option to include extra AI opponents is available.